This AT&T Prepaid cell phone could be a lifesaver. Let me lay it out for you. You’re a thrifty person, you watch those Sprint commercials where they tell you you can save a lot with just a small difference in coverage. And then you realize that those coverage differences aren’t as small as you thought. It’s not a big deal when you zip around town, but as you drive out into the woods, it makes you a little… worried. 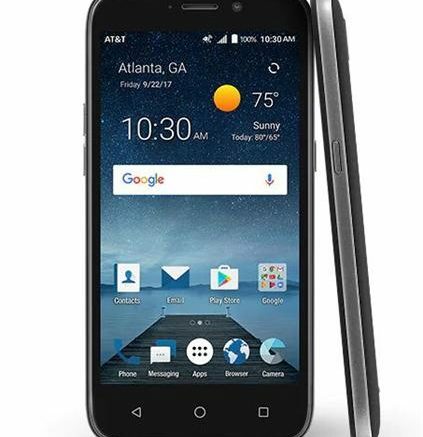 A prepaid cell phone using the AT&T network is just what you need. Choose a per-minute plan where you pay as you go, then park that phone in the glove box for emergencies. You know, like how we used to use our cell phones 20 years ago. Then, if you’re out of signal range, power up that other phone and you can make calls, texts, and even get on the internet. You can get directions, call for help, whatever. It’s literally a lifesaver. The best thing about a prepaid cell phone is that there’s nothing more to buy. It can sit there from year to year doing nothing and costing you nothing, if you don’t use it. When you do run out of minutes, you can get refill cards at most convenience stores or pay for refills right through your phone. It’s incredibly easy. I’ve been using a prepaid cell phone for about a month and I’ll admit that the $30 phone I’ve been using is a little slower than I’m used to, and doesn’t have the massive storage space I expect, but the call quality is great, it’s actually tougher than most expensive phones and the camera isn’t so bad. It’s not going to take the place of your iPhone X or Galaxy S8 but it’s also not going to empty out your wallet. And besides, I’m not saying you personally should use an inexpensive prepaid phone if you don’t want to. Just keep one in the glove box. You’ll be glad you did.